Some conversion goals are more important than others. If you’d like to receive e-mail notifications when someone converts for some of your goals but not all of them, that’s now possible. To choose which goals you’d like notifications for, log in to Improvely and click your email address at the top of any page to access your profile. 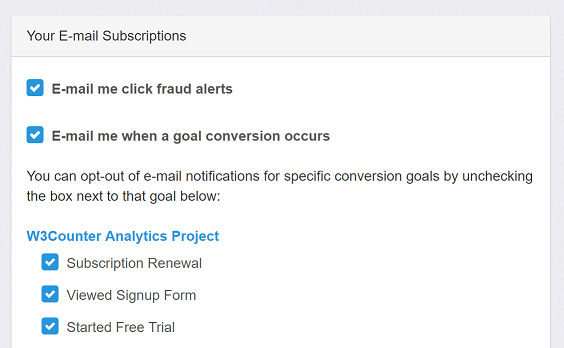 You’ll now find a checkbox next to the name of each conversion goal you’ve tracked to subscribe or unsubscribe from notifications for that goal.